I am very excited to be leading the ClinCapture roadmap. Eric Morrie joins ClinCapture as Director of Product Operations, bringing with him 20 years of experience in the clinical trial industry, including at some of the world’s leading pharmaceutical and medical device companies. 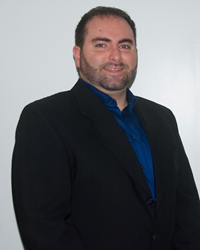 The new addition to the executive management team brings ClinCapture’s experience and skill set to a new level. In his new role, Eric will be responsible for Professional Services, Customer Support, and the product development roadmap of ClinCapture, the only free validated Electronic Data Capture (EDC) system. Leveraging his experience on the life science company side, Eric will solidify the product’s key features and ensure customer satisfaction. Eric has held positions at Onyx Pharmaceuticals and Abbott Vascular in the capacity of Clinical Programming Manager and most recently Associate Director of Clinical Solutions at Wincere. Prior to that, Eric was working in several capacities for the University of Rochester and Bausch & Lomb. “This is a major addition to our team”, says Glenn Keet, CEO at ClinCapture. “With a customer base that has tripled in the last 18 months, and over 1,200 clinical trial professionals using our “Do-It-Yourself” platform, Eric will be instrumental in delivering excellent customer services and add key features to our product roadmap that will set us further apart from our competition”. “I am very excited to be leading the ClinCapture roadmap”, explains Eric. “ClinCapture is truly innovative product, and has really stood out in our industry the past 5 years. Particularly with the launch of the Do-It-Yourself “Build Studio” platform that allows any clinical trial professional to build studies with no programming experience. In my new role, I will focus on adding innovative, game-changing features to the system at a reasonable cost for small and mid-size companies, while ensuring full customer satisfaction through outstanding customer support and professional services”. ClinCapture is the fastest growing EDC system on the market. With clients in each part of the world, 15,000 ClinCapture users, 200 certified trained users, and a dozen of official CRO partners, ClinCapture has expanded at an impressive pace. Furthermore, ClinCapture is offered with a Standard version that comes at no cost. Celebrating its 100th free study, ClinCapture is perfectly suited for early phase and smaller clinical trials still run on paper, while offering sophisticated features that allow clinical trial professionals to build studies in less than 2 weeks with no programming or IT experience. Read case study. to build their studies themselves, lower their clinical trials costs and streamline their data capture processes.